DNC 9 is the newest software from Antech used for managing large no of part programs in high tech CNC shops. This NT/win 2000/XP compatible software provides simultaneous data communication up to 32 CNC machines. With this unique capability, several operators can work at the same time on separate part programs within the same shop. And with immediate access to the desired data from CAD CAM lab. There are also many other intangible benefits associated with such an investment which can dramatically out weigh the productivity gains (i.e., re-work of nc programs , accessing the latest parameters, diagnostics parameters, revisions, re-use of data by other applications, data corruption etc.) with access to a large PC hard disk memory . 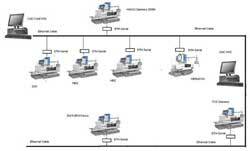 DNC can be used for managing part programs and diagnostic parameters. 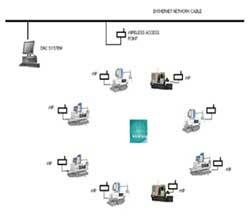 If user would like to use the existing LAN setup can go for this system. 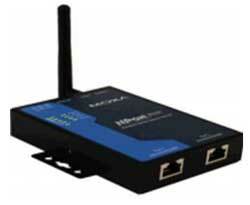 All Ethernet to Serial converters are used for each CNC. Nor recommended for Tool room applications. DNC in this setup was very common in older days. PC after connecting with 8 port Serial card gets 8/16 ports for communication can be connected to each CNC with optical isolators. This system also can be used in Tool rooms. 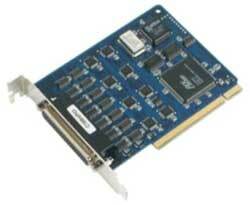 8 port serial control card and it's cable available in 9db or 25db connectors. This setup is useful and now becoming most popular among production units. There is wiring required and is totally flexible. It can be even integrated with Shop link machine monitoring software. 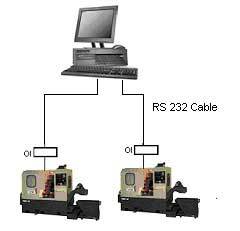 This setup is ideally suitable and common in Tool room applications and CNC has RS232 port only for communication. Some CNC having Ethernet also can be connected to DNC as well. 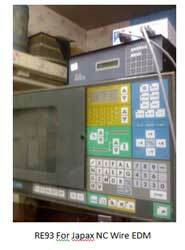 Self Auto Restart DNC from antech is used in CNC die mould industry. CNC while running large programs in DNC\HardDisk and in case of power failure this newest DNC will detect location of last NC block executed and restart from the same point . Auto Restart from same point, in case of power failure. Auto Restart the program from last executed block when computer off. Status of NC program running. Upload/Download the NC file using FTP. Works with Rs232/Ethernate as well. Shows minimum and maximam values of X, Y, Z axis from NC file. 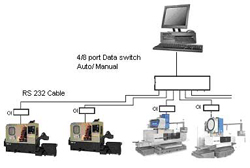 With this setup maximum 2 CNC machines can be Connected with DNC. Simultaneous communication with two machines can be done. 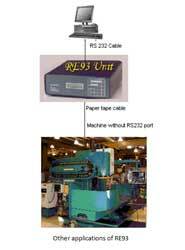 RE 93 is Electronic paper taper reader emulator for direct replacement of paper tape readers and punchers. 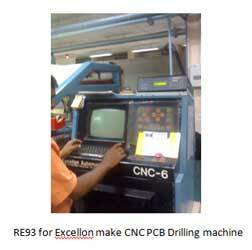 It has got micro controller CPU for handling various protocols in CNC communication. It has electronic memory for storing NC data and Executable software. 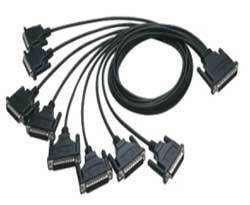 It has optically isolated RS232 port for PC communication. RE 93 can emulate following interfaces as on today and can be configured for any other interface if necessary timing diagrams are available with the customers.Multiple NC machines can be connected to PC in any DNC setup as mentioned above. 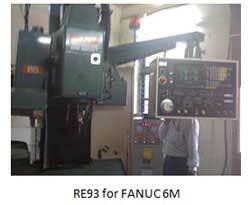 Fanuc 6M - With BTR RE93 block by block communication can be achieved. This facility is not available with RS232 port available on machine. JAPAX - Japax machines are fitted with Cassette for data transfer. Cassette can be eliminated with RE93. Fanuc 6M control does not have block by block communication facility (Drift mode) as required by Die & Mould Industry. BTR RE93 from Antech provides this facility on Fanuc 6M control. 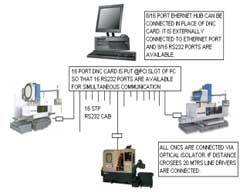 CNC VMC/HMC fitted with FANUC 6M controller has RS232 port for communication. However memory for this control is limited to 32 kb. And large NC programs can not be accomodated in CNC memory. This CNC does not have drift mode facility. RE93can provide this facility. Japax CNC Wire EDM is having cassette tape for Data Communication. 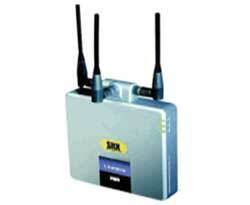 However with RE93 NC program generated in PC can be transmitted through RS232 port available on RE93. RE93 in turn emulates cassette interface & transfers program to Japax NC. 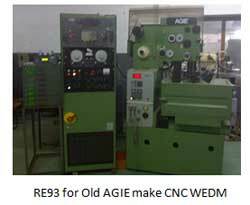 Old AGIE make CNC Wire EDM has taper reader for NC Data transfer. RE93 can transfer NC Code generated on PC to machine. Download free DNC and use it forever for a single CNC machine. Distribute and copy it nos of times on any machines. It requires password for activation. Download now..